The Apple Watch battery life usually lasts me an entire day, with a decent amount of charge leftover when I put it on the charger at night. But days of high activity can change this pretty dramatically, and there have certainly been times when I have depleted the entire battery in less than 12 hours. While high Apple Watch battery usage is usually attributable to high levels of app usage on the device, you might not use those apps very often, or you might be looking for a way to avid needing to charge the watch every night. One way to do this is with the help of a setting on the watch called Power Reserve Mode. This will disable all of the features on the watch, allowing you to only use it as a device that displays the time. 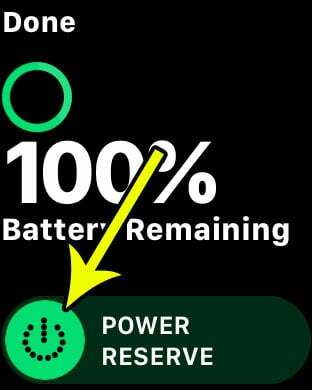 Our tutorial below will show you how to put the Apple Watch in Power Reserve Mode. The steps in this article were performed on an Apple Watch 2 using the WatchOS 3.2.3 version. Power reserve mode will cause the watch’s battery to last longer, but will disable all of the features on the watch except for the time. Step 1: Swipe up from the bottom of the watch face. Step 2: Touch the button with the percentage on it. Step 3: Slide the Power Reserve button from the left side to the right side. 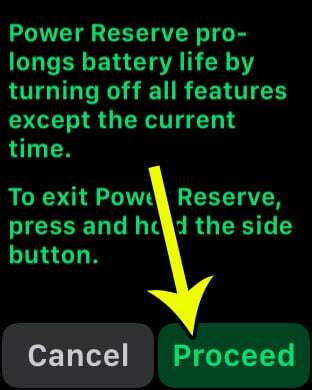 Step 4: Read this screen to see that you will be turning off everything but the time, then tap the Proceed button to enter Power Reserve mode. 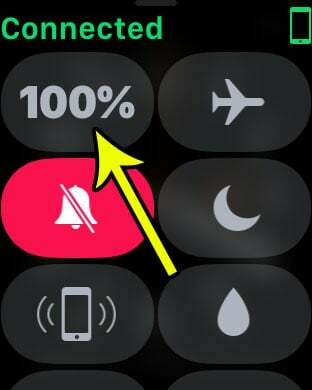 You can exit power reserve mode by pressing and holding the side button on the watch. 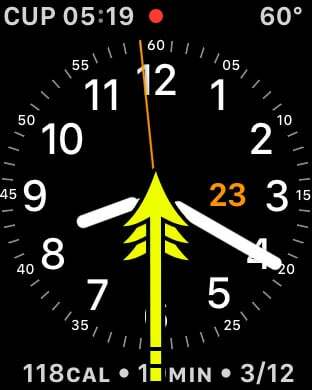 Note that it will take a moment or two for the watch to re-enter its normal activity mode. Are the Breathe reminders on your watch becoming a bit of a nuisance? Learn how to stop the Apple Watch Breathe reminders if you find that you are usually dismissing them anyway.